In the past, whenever treatment was needed for the gums, it would inevitably involve a dentist using a scalpel and sutures. 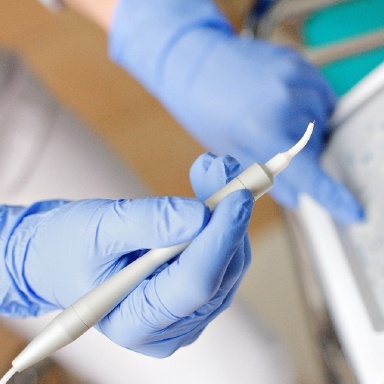 As you can imagine, these kinds of tools, when applied to sensitive oral tissues, often led to a very uncomfortable experience for a patient, both during and after a procedure. Thankfully, we’re no longer living in the past! 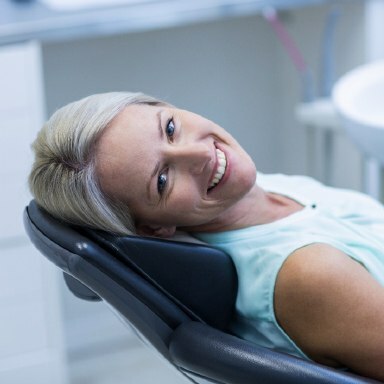 Now, your dentist in Massapequa Park, Dr. Allan S. Mohr, can provide nearly painless gum disease therapy and cosmetic gum lifts using our soft tissue laser. Yes, lasers have come to dentistry, and they are giving our patients plenty of reasons to smile. Your dentist using a laser at your appointments certainly sounds interesting, but how does it actually work? The laser itself is a small, handheld instrument that is able to generate an extremely concentrated beam of light, and with it, Dr. Mohr is able to perform a wide variety of gum-related procedures with ease. He can eliminate harmful bacteria hidden beneath the gum line to manage gum disease, and the laser can even help remove infected tissue. It’s able to accomplish these tasks while not affecting the surrounding healthy tissue, which helps cut down on any patient discomfort and ensure a speedy recovery. How does it do this? The laser actually cauterizes blood vessels, sanitizes the area, and seals delicate nerve endings as it goes, dramatically reducing any potential pain, bleeding, and swelling. Laser treatment also encourages the growth of new, healthy gum tissue that wraps tightly around the teeth. This makes it much harder for plaque and bacteria to accumulate below the gum line in the future, lowering a patient’s chances of reinfection. Dr. Mohr can also use our laser to perform an aesthetic gum lift to help patients dealing with a “gummy” smile (one where the gum line overshadows the teeth, making them appear short). The laser is able to precisely remove excess gum tissue to reveal beautiful, previously hidden dental structure underneath. Then, Dr. Mohr can artistically shape the new gum line along the teeth to create the perfect frame for a person’s smile. This can all be accomplished in one simple appointment! And, because the laser itself generates very little heat, sound, or vibration, a patient can look forward to a comfortable experience throughout. 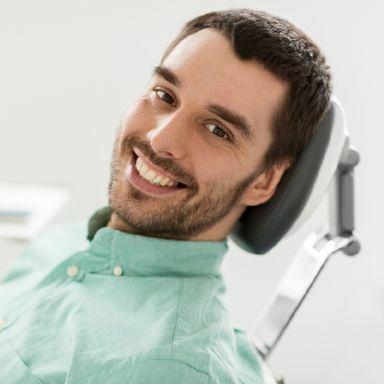 If you have mild to moderate gum disease, or if you’re interested in adjusting your gum line so you can have a more balanced and attractive smile, then you’re likely a perfect candidate for laser dentistry. Dr. Mohr can let you know if laser treatment would be right for you at a brief consultation. And, if time allows, he can even perform treatment during the same visit! Dr. Mohr and our team have already used the laser to improve the health and appearance of thousands of smiles all across Long Island, and we can do the exact same for you. To learn more about laser dentistry or schedule an appointment, contact us today.